The leadership of one of the opposition political parties in Enugu State,Fresh Democratic Party including the governorship candidate in the just concluded general election in the state, Deaconess Barr. 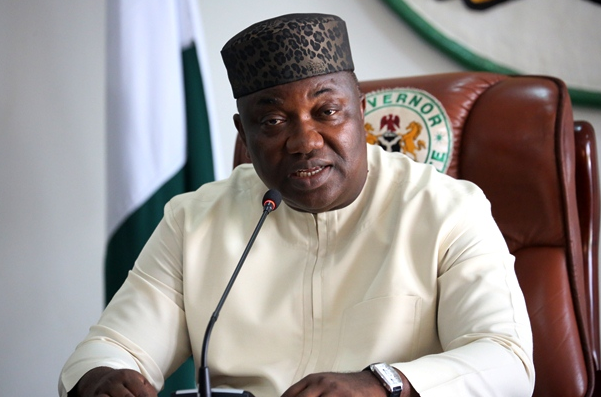 Nnenna Anozie, has unanimously congratulated Governor Ifeanyi Ugwuanyi and Governor-elect, for his resounding victory “in the election conducted on 9th March, 2019”. The Fresh Party in a congratulatory message presented to Gov. Ugwuanyi, when the state chairman/ South East coordinator, Pastor Tochukwu Edeh, the secretary, Engr. Mike Obika, the governorship candidate and other leaders of the party paid a visit to the governor at the Government House, Enugu. They told Gov. Ugwuanyi that “we are glad to let you know that throughout your stay in office you can count on our prayers and support”. The party wished the governor “all the very best in your four years tenure” and prayed for God’s continued guidance, blessings and successes.